This entry was posted on Saturday, August 25th, 2018 at 8:10 am and is filed under Sarayu Yoga. You can follow any responses to this entry through the RSS 2.0 feed. You can leave a response, or trackback from your own site. We are finishing up the month of August this week. 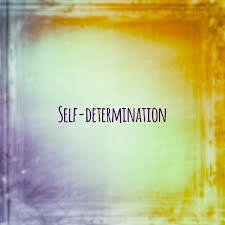 I’ve spent a little time thinking about our theme for this month, self-determination. Relating the concept to yoga, I think about the idea of karma. Simply put, karma is a concept that says those things we do (thinking, actions and the like) directly influences what happens to us. If you do good, you reap good. Eastern thinking takes this further by saying that those thoughts deeds and actions we did in a previously lifetime, are played out in this lifetime. This, of course, requires that you believe in reincarnation or rebirth. But even if you don’t believe in reincarnation, you may believe “what goes around, comes around”. That is, how we behave in the world reflects what the world gives back to us. Only we can determine how we will act in the world. The more love and positivity we give out, the more we will receive. Monday nite 8/27, 6:30-8pm. We’ll continue focusing on the concepts of strength, flexibility, balance and agility in our practice. Thursday evening 8/30, 5-6:15pm. Let’s bring some yoga nidra into our practice tonite. Maybe even a bit of yin?